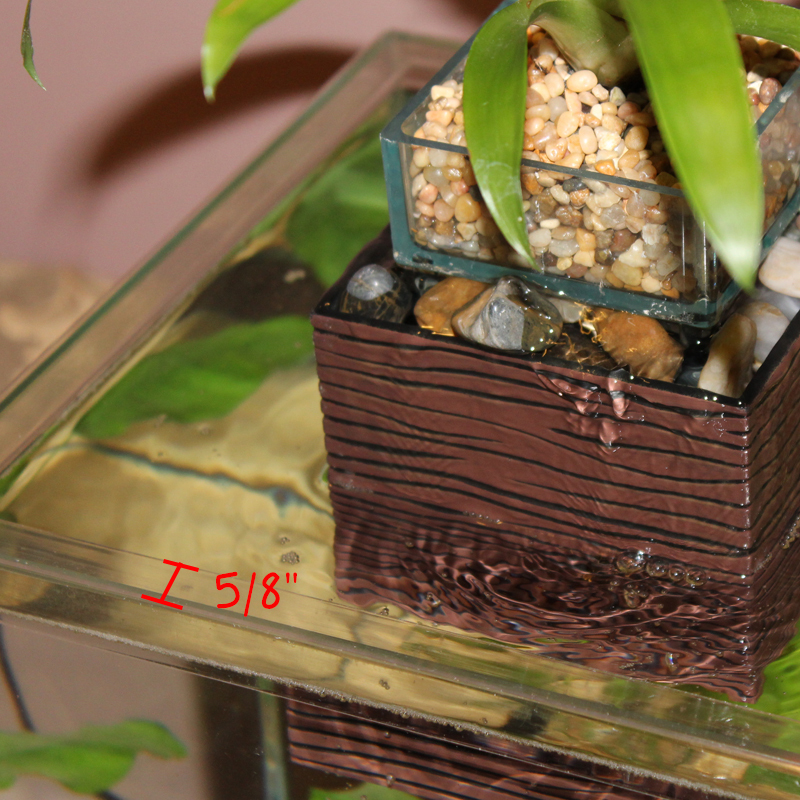 Lids for Rimless aquariums that don't destroy the look of the aquarium! Protect your fish, and even get some heat retention, as with the largest model 1 1/8", open air tank temperature increases by as much as 2 degrees! 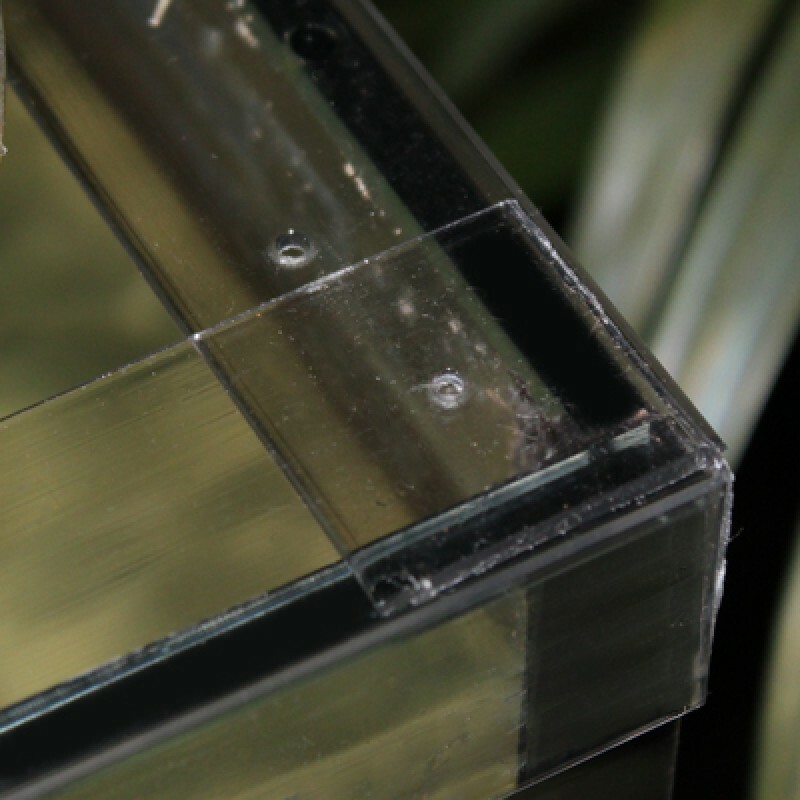 In our test tanks, our Rimless aquarium lids have a 100% success rate at stopping bottom feeder jumps, who tend to use the upright glass wall as their means of transport to launch out of the tank similar to a ramp. Also, our test tanks have shown positive to preventing other fish jumps close to the edge of the tank. It is estimated that 90% of fish jumps occur near the edges of the glass, and are blocked by our lids. Jumps in the middle of the tank tend to land the fish back in the water 98% of the time. The other 1% are either blocked by our lids or the fish landed on the lid as a platform, sliding back into the tank. We all know the heating issues related to having open air aquariums, as there is no heat retention due to no top, and also very large amounts of evaporation. Our lips cause a small amount of heat and water retention. Although you may not notice the water retention, you will notice the heat retention. Our test tanks increased by 2 degrees after installation, allowing us to turn the heaters down a bit, saving money in the long run. Our Lip lids on the test tanks also prevent your child sized visitors from reaching up and grabbing the top of the glass in-order to lift themselves to see the tank, and ultimately prevents their cookie-crumbed fingers from contaminating your precious ecosystem. You have options for adding adhesive. This is a double sided clear tape that can be used, or, you may use your own. We suggest Scotch Double Sided Tape Clear, Find it in any office supplies store or section of a store. For your edges, they may be cut at 45 degree angles to fit together nicely. If you have a larger tank, we do not suggest this method, as when the corners overlap they provide more more support for each other. 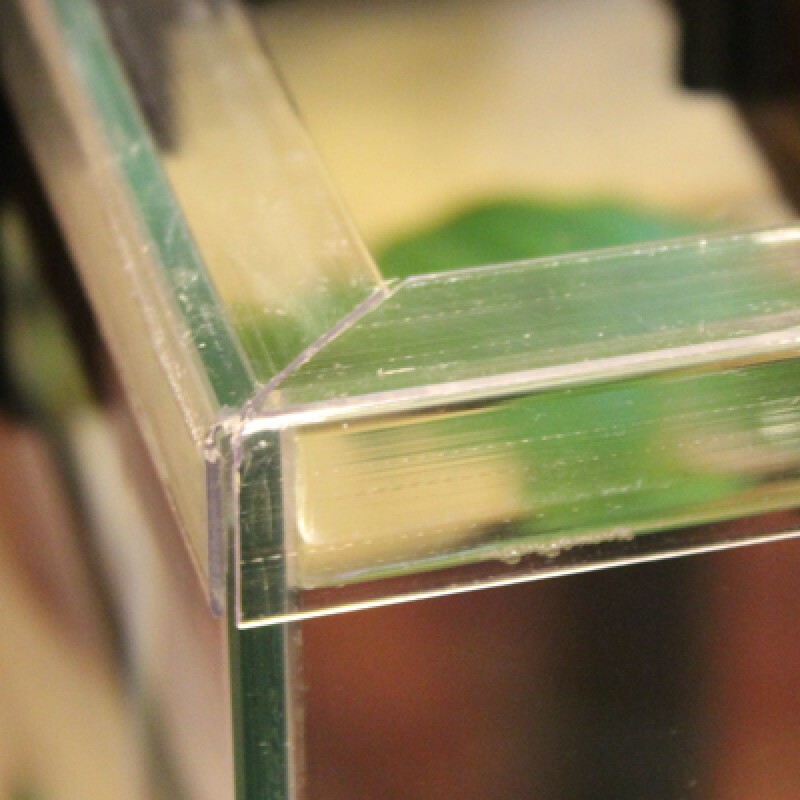 Use rimless aquarium lip lids to prevent fish from jumping out of your rimless tank! Cut To Size 1 1/8" overhang in tank Lids for Rimless aquariums that don't destroy the look of the ..
Cut To Size 5/8" overhang in tank Lids for Rimless aquariums that don't destroy the look of the aq..
1 1/8" overhang in tank Lids for Rimless aquariums that don't destroy the look of the aquarium! Pr..